Is our mind a fractal object or pattern collector, and if so, does the fractal explain laughter, and sadness - as the object changes shape changes? This entry follows on from my earlier blogs on equilibrium, particularly from the shape being set at or around iteration 7. Could it be that this is how our minds recognise – and know – objects or shapes? If the universe is full of repeating patterns, then to know something, all we need is a collection patterns; we don't need any detail at all. This can be demonstrated (below) by Koch snowflake development: as the snowflake develops, the 'stickman' develops; at some point – around 7 plus or minus 2 iterations – the shape is known, the stickman is defined. At iteration one, we know nothing. In the above diagram we see the fractal development of a humanly figure. 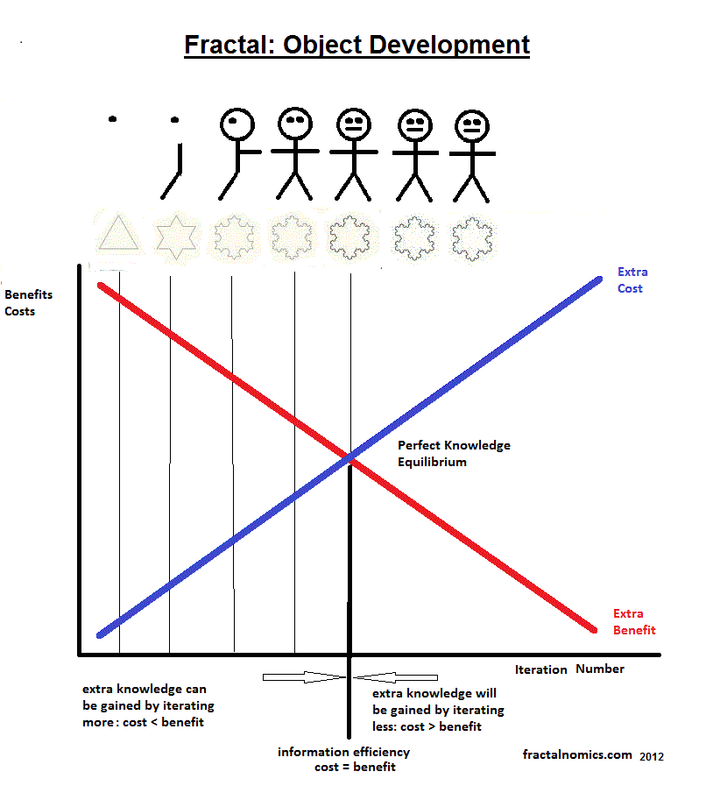 At iteration 1 the shape is not known; by iteration 5 we know it is a recognisable humanly shape - but nothing else. The mind doesn't need take in all the information we see – that is too costly: it only needs shapes or objects: to know more, we can 'zoom in' to get more detail.